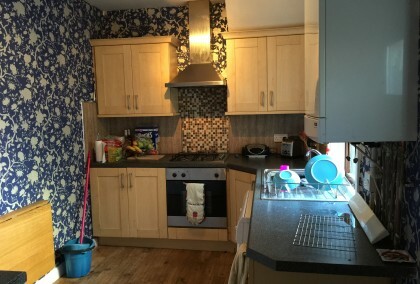 3 photos £70 pppw / £303.33 pcm Springback Road Sandyford 6 bedrooms | Available Now view details > Book Viewing > Well presented property in popular location with easy access to universities and city centre. The property benefits from lounge, fitted kitchen, double bedrooms and 2 bathrooms. 3 photos £78 pppw / £338 pppcm Kelvin Grove Sandyford 5 bedrooms | Available Now view details > Book Viewing > Well presented 5 bed maisonette in popular location with easy access to Universities, Jesmond and City Centre. The property provides double bedrooms, 2 bathrooms, modern fitted kitchen and lounge. There is street parking to the front of the property. Well presented 5 bed maisonette in popular location with easy access to Universities, Jesmond and City Centre. The property provides double bedrooms, 2 bathrooms, modern fitted kitchen and lounge. There is street parking to the front of the property. 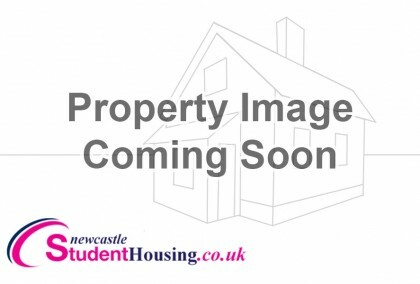 21 photos £85 pppw / £368.33 pppcm 4 bedroom Apartment Jesmond Sandyford 4 bedrooms | Available Now view details > Book Viewing > Modern 4 Bedroom fully furnished Apartment situated in the Sandyford area only 5 mins walk to City Centre and Universities. This 4 bedroom Apartment is one of four modern apartments in the block and has the benefit of designated parking. The property comprises of a Modern living open plan lounge/Kitchen with Appliances inc Oven/hob , Fridge Freezer, Dish washer and Washer. The Apartment also has access to a Balcony which leads off from the living room. The living area includes two, two seater sofas, dining table and chairs There are two large spacious shower rooms, and the Apartment is electrically heated. 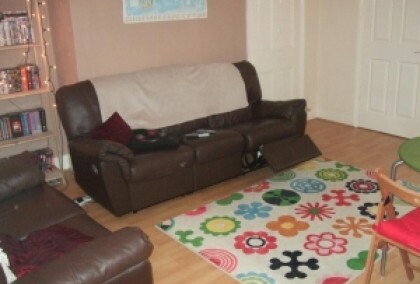 This property is in an ideal location for students. Modern 4 Bedroom fully furnished Apartment situated in the Sandyford area only 5 mins walk to City Centre and Universities. 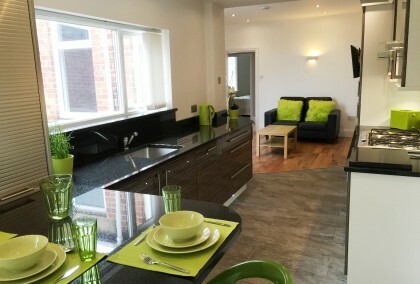 This 4 bedroom Apartment is one of four modern apartments in the block and has the benefit of designated parking. The property comprises of a Modern living open plan lounge/Kitchen with Appliances inc Oven/hob , Fridge Freezer, Dish washer and Washer. The Apartment also has access to a Balcony which leads off from the living room. The living area includes two, two seater sofas, dining table and chairs There are two large spacious shower rooms, and the Apartment is electrically heated. 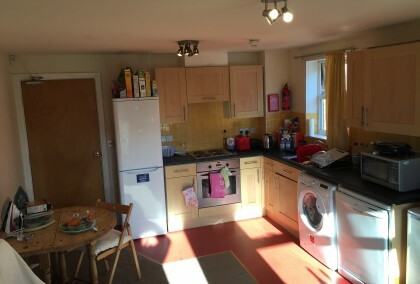 This property is in an ideal location for students. 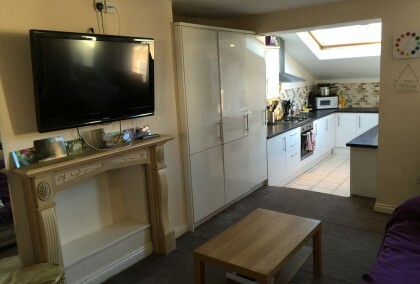 11 photos £90 pppw / £390 pppcm Kelvin Grove Sandyford 3 bedrooms | July 2019 view details > Book Viewing > Well presented 3 bedroom en-suite Apartment situated in an excellent location only 10 mins walk to Universities and City Centre. The property briefly comprises of a Modern open plan Kitchen lounge, 3 double bedrooms with en-suite bathrooms/shower rooms. private yard. 11 photos £85 pppw / £368.33 pppcm Greystoke Avenue Sandyford 6 bedrooms | July 2019 view details > Book Viewing > Well presented 6 bed maisonette in an excellent location close to local amenities including shops, bars and restaurants. 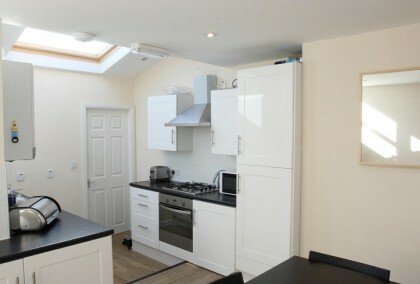 Situated within walking distance to the uni’s and city centre. Decorated & furnished to a high standard, the property consists of double bedrooms with fire doors & smoke alarms, large lounge with leather sofas, large modern fitted kitchen with appliances and 2 bathrooms with showers. Separate toilet. It also benefits from double glazing, gas heating from a Combi boiler and street parking. Well presented 6 bed maisonette in an excellent location close to local amenities including shops, bars and restaurants. 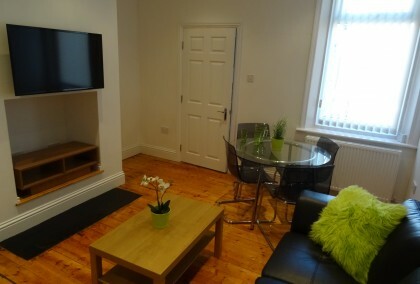 Situated within walking distance to the uni’s and city centre. 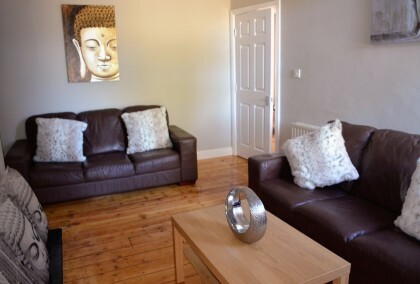 Decorated & furnished to a high standard, the property consists of double bedrooms with fire doors & smoke alarms, large lounge with leather sofas, large modern fitted kitchen with appliances and 2 bathrooms with showers. Separate toilet. It also benefits from double glazing, gas heating from a Combi boiler and street parking. 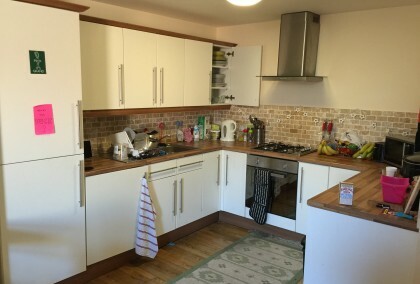 5 photos £88 pppw / £381.33 pppcm Dinsdale Road Sandyford 6 bedrooms | August 2019 view details > Book Viewing > Six bed maisonette in popular location with easy access to Universities, Jesmond and City Centre. The property benefits from double bedrooms, spacious lounge, modern kitchen and 2 bathrooms. Six bed maisonette in popular location with easy access to Universities, Jesmond and City Centre. The property benefits from double bedrooms, spacious lounge, modern kitchen and 2 bathrooms. 6 photos £98 pppw / £424.66 pppcm Doncaster Road Sandyford 2 bedrooms | September 2019 view details > Book Viewing > NEWLY REFURBISHED!! 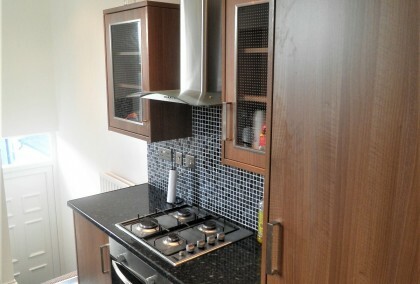 Modern two bedroom ground floor apartment situated in an ideal location 5 mins walk to City Centre and Universities. Local amenities including shops, bars and restaurants in nearby Sandyford/Jesmond. The property is decorated and furnished to a high standard with spacious lounge, modern fitted kitchen with appliances, good size bathroom and double bedrooms. Private yard to the rear. NEWLY REFURBISHED!! Modern two bedroom ground floor apartment situated in an ideal location 5 mins walk to City Centre and Universities. Local amenities including shops, bars and restaurants in nearby Sandyford/Jesmond. The property is decorated and furnished to a high standard with spacious lounge, modern fitted kitchen with appliances, good size bathroom and double bedrooms. Private yard to the rear. 9 photos £98 pppw / £424.66 pppcm Greystoke Avenue Sandyford 3 bedrooms | September 2019 view details > Book Viewing > Newly Refurbished Well presented three bedroom upper flat situated less than a 10 minute walk to City Centre and Universities. All local amenities including shops, bars and restaurants only a short walk. The property is fully furnished briefly comprising of good size lounge with Tv, modern fitted kitchen with appliances, Bathroom with shower and three double bedrooms. Shared yard to the rear. 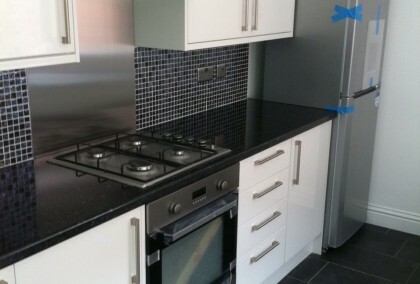 8 photos £98 pppw / £424.66 pppcm Greystoke Avenue Sandyford 3 bedrooms | September 2019 view details > Book Viewing > Newly Refurbished Well presented three bedroom upper flat situated less than a 10 minute walk to City Centre and Universities. All local amenities including shops, bars and restaurants only a short walk. The property is fully furnished briefly comprising of good size lounge with Tv, modern fitted kitchen with appliances, Bathroom with shower and three double bedrooms. Shared yard to the rear. 7 photos £98 pppw / £425 pppcm Dinsdale Road Sandyford 2 bedrooms | September 2019 view details > Book Viewing > NEWLY Refurbished 2 bed ground floor flat situated in popular location of Sandyford with Heaton, Jesmond, City Centre and Universities all a short walk away. The property comprises of 2 double bedrooms, lounge leading through to fully fitted kitchen and bathroom with shower over bath. Also benefiting from on street parking and rear yard. NEWLY Refurbished 2 bed ground floor flat situated in popular location of Sandyford with Heaton, Jesmond, City Centre and Universities all a short walk away. The property comprises of 2 double bedrooms, lounge leading through to fully fitted kitchen and bathroom with shower over bath. Also benefiting from on street parking and rear yard. 9 photos £98 pppw / £424.66 pppcm Helmsley Road Sandyford 2 bedrooms | September 2019 view details > Book Viewing > NEWLY REFURBISHED!! Modern two bedroom ground floor apartment situated in an ideal location only 5 mins walk to City Centre and Universities. Local amenities nearby including shops, bars and restaurants. The property is decorated and furnished to a high standard with spacious lounge, modern fitted kitchen with appliances, good size bathroom and double bedrooms. Private yard to the rear. 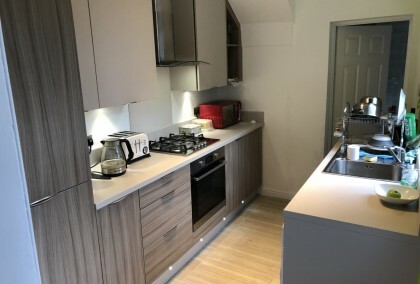 15 photos £120 pppw / £520 pppcm Doncaster Road Sandyford 2 bedrooms | September 2019 view details > Book Viewing > Brand New Completely refurbished superb two double bedroom Apartment with en-suite’s, situated in the best location in Sandyford/Jesmond. The Bathroom and shower room are luxurious in every aspect both benefitting from Porcelain tiling with decorative border and high quality suites with plenty of storage. Their is also a separate W.C. for guests. 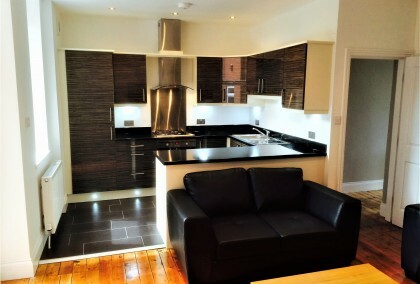 The Kitchen is Bespoke, Modern open plan living with Black Granite effect Breakfast Bar and Worktops. Appliances include Built in Oven/hob, Fridge freezer, Dish washer, Washer dryer. Other features include Satin/ch lighting throughout, Led Tv ,all rooms wired for sky tv, Built-in Wardrobes, Coat and Storage Cupboard, Lockable bedroom doors. Varnished wood flooring, GCH, Double Glazing, Security Alarm. Carbon Monoxide detector and Smoke detectors and fire doors throughout. The property is fully furnished, bedrooms include Oak furniture and double beds The property has a private yard and security lighting. This property is superb and is highly recommended. Brand New Completely refurbished superb two double bedroom Apartment with en-suite’s, situated in the best location in Sandyford/Jesmond. The Bathroom and shower room are luxurious in every aspect both benefitting from Porcelain tiling with decorative border and high quality suites with plenty of storage. Their is also a separate W.C. for guests. 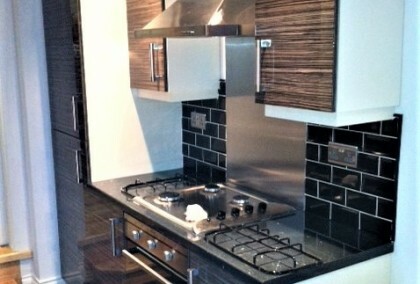 The Kitchen is Bespoke, Modern open plan living with Black Granite effect Breakfast Bar and Worktops. Appliances include Built in Oven/hob, Fridge freezer, Dish washer, Washer dryer. Other features include Satin/ch lighting throughout, Led Tv ,all rooms wired for sky tv, Built-in Wardrobes, Coat and Storage Cupboard, Lockable bedroom doors. Varnished wood flooring, GCH, Double Glazing, Security Alarm. Carbon Monoxide detector and Smoke detectors and fire doors throughout. The property is fully furnished, bedrooms include Oak furniture and double beds The property has a private yard and security lighting. This property is superb and is highly recommended. 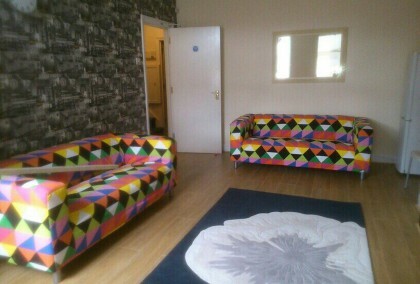 12 photos £98 pppw / £424.66 pppcm Doncaster Road Sandyford 2 bedrooms | September 2019 view details > Book Viewing > Modern two bedroom ground floor apartment situated in an ideal location 5 mins walk to City Centre and Universities. Local amenities including shops, bars and restaurants in nearby Sandyford/Jesmond. The property is decorated and furnished to a high standard with spacious lounge, modern fitted kitchen with appliances, Recently refurbished Large Modern bathroom with storage, double bedrooms. Private yard to the rear. Modern two bedroom ground floor apartment situated in an ideal location 5 mins walk to City Centre and Universities. Local amenities including shops, bars and restaurants in nearby Sandyford/Jesmond. The property is decorated and furnished to a high standard with spacious lounge, modern fitted kitchen with appliances, Recently refurbished Large Modern bathroom with storage, double bedrooms. Private yard to the rear. 17 photos £110 pppw / £476.66 pppcm Dinsdale Road Sandyford 3 bedrooms | September 2019 view details > Book Viewing > NEWLY REFURBISHED!! Ultra Modern three double bedroom apartment situated in a superb location of Sandyford/Jesmond just 5 min’s walk to City Centre and Universities. This apartment has been thoughtfully designed and fitted out with high quality materials and has a superb Modern bespoke open plan kitchen living area with Black Granite breakfast bar and worktop. Appliances include built-in Oven/5-Hob, Fridge Freezer, dishwasher and washer dryer. The breakfast bar area includes a led tv, and has a sitting area which can comfortably sit three people. The lounge area includes Black leather sofas, wall lighting, led tv and coffee table. The bedrooms include Oak furniture and double beds. Other features include Solid wood flooring, GCH, Double Glazing, all rooms wired for sky tv, economical led lighting throughout, Mood lighting, security Alarm, Double storage cupboard, bar stools, Carbon monoxide detector, fire doors and smoke detectors throughout the property. Amenities nearby include Jesmond Metro , shops, bars and restaurants. This property is outstanding and is highly recommended. NEWLY REFURBISHED!! Ultra Modern three double bedroom apartment situated in a superb location of Sandyford/Jesmond just 5 min’s walk to City Centre and Universities. This apartment has been thoughtfully designed and fitted out with high quality materials and has a superb Modern bespoke open plan kitchen living area with Black Granite breakfast bar and worktop. Appliances include built-in Oven/5-Hob, Fridge Freezer, dishwasher and washer dryer. The breakfast bar area includes a led tv, and has a sitting area which can comfortably sit three people. The lounge area includes Black leather sofas, wall lighting, led tv and coffee table. The bedrooms include Oak furniture and double beds. Other features include Solid wood flooring, GCH, Double Glazing, all rooms wired for sky tv, economical led lighting throughout, Mood lighting, security Alarm, Double storage cupboard, bar stools, Carbon monoxide detector, fire doors and smoke detectors throughout the property. Amenities nearby include Jesmond Metro , shops, bars and restaurants. This property is outstanding and is highly recommended.